It's Pinterest Challenge time again, and I accepted! Katie of Bower Power and Sherry of Young House Love dreamed up this idea for a link party to get us motivated to DO something we've PINNED. 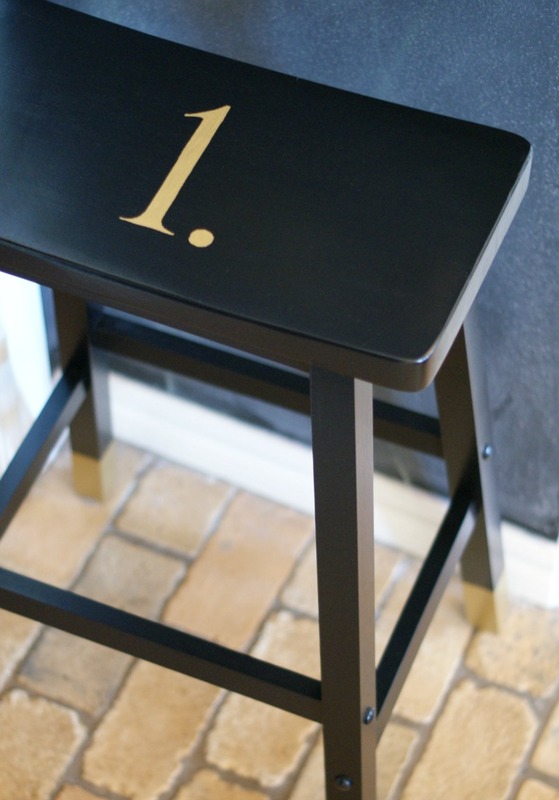 Last time around I made some oversized silhouettes, and this time I added a bit of detail to our plain jane barstools. 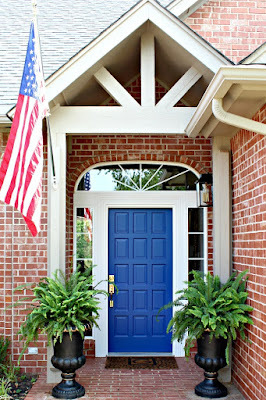 You know what they say...it's all in the details, and after this project, I completely agree! This was a fairly simple project, it just took a little bit of time. To start out, I taped off all of the legs to create the "dipped" look. I used the craft paint pictured in "pure gold" and a foam brush for all of the painting. One coat was barely noticeable, but this paint dried quickly and by the time I had painted all 16 legs I could go back and start again with another coat. I did 4 coats of gold altogether. 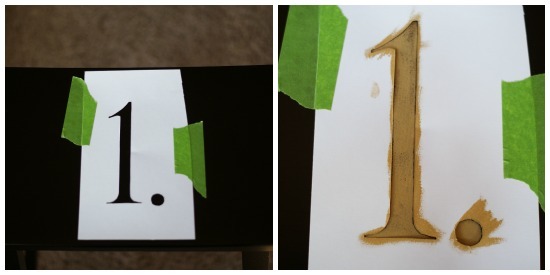 Even though I peeled the tape off right after applying the last layer, the paint started peeling off with it. So, I lightly ran my knife around the legs right at the edge of the tape to break the seal and make a clean line. After the legs were painted and dried for a day or so, I was ready to work on the numbers. I chose a font on my computer that I liked and enlarged the numbers to about 5 inches, and then printed them out on card stock. Using an x-acto knife I cut them out to make a stencil. You can purchase pre-made stencils at the craft store, but I couldn't find the size and style that I wanted. After measuring to find the middle, I taped the stencil down (I rolled some tape and stuck it underneath very close to the cut out lines also, just to hold it down better to prevent the paint from bleeding too much). Now, as I said, this paint scratched off VERY easily. Any little bit of knocking them around would surely scratch the gold off of the legs, and I don't think the numbers would have lasted a day left as-is. 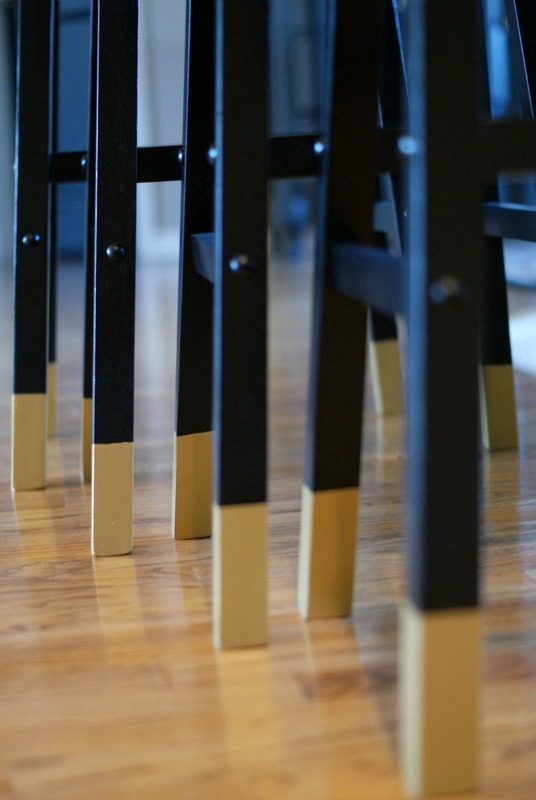 The barstools had a slick finish on them and it would have been best to sand or prime them. 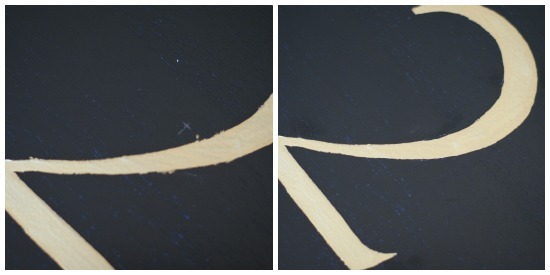 But, I didn't want to prime because I only wanted to add the numbers and not disturb any of the black original finish. So, after I was finished painting I took them outside and gave the tops and just the painted tips of the legs several coats of spray polyurethane. Fingers crossed that it sealed them up good and gave them a nice protective coat. It seems to have worked well, but time will tell...I'll keep you posted. So, there you have it, I think my second Pinterest Challenge project is a success! I'm looking forward to seeing what fabulous projects everyone else has come up with...I'll need some fresh inspiration for the next one! Oh, and speaking of Pinterest, I'd love it if you would follow me! love them!!! i love the gold feet! these turned out fantastic! they really add some character. Love these! The gold numbers on the top are perfect! They turned out fabulous! Love the black and gold combination. Soooo creative, girl!! You have a way with black and gold for sure! These are so lovely. I pinned them away already. 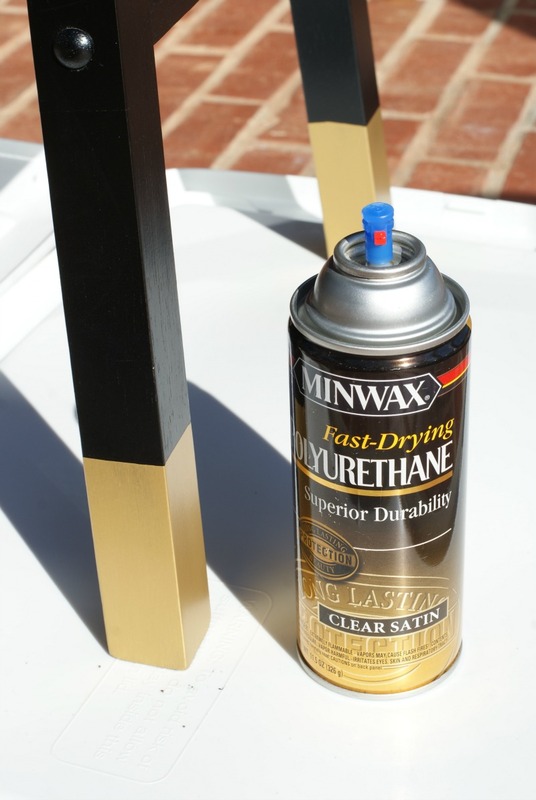 Oh my gosh, I never knew there was such thing as spray polyurethane! Uh oh now I'm in trouble. 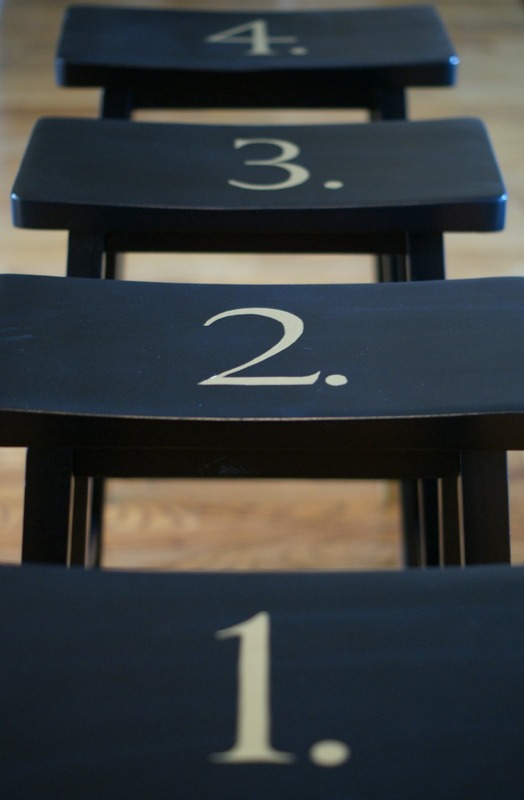 I demoted some stools just like this to my basement. I was going to sell them. Totally reconsidering!! The numbers and dipped legs are perfection! These are so beautiful!! Love this! LOVE the way these turned out!! WOW! These are stunning!! 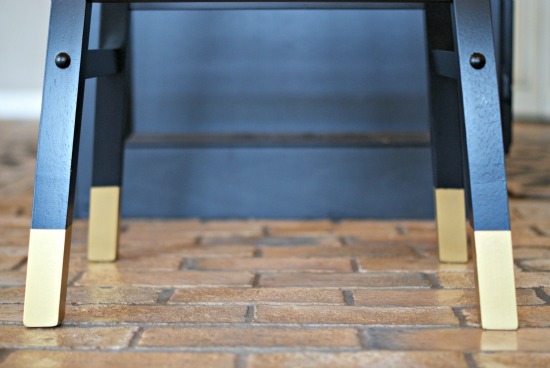 I love the gold dipped look! 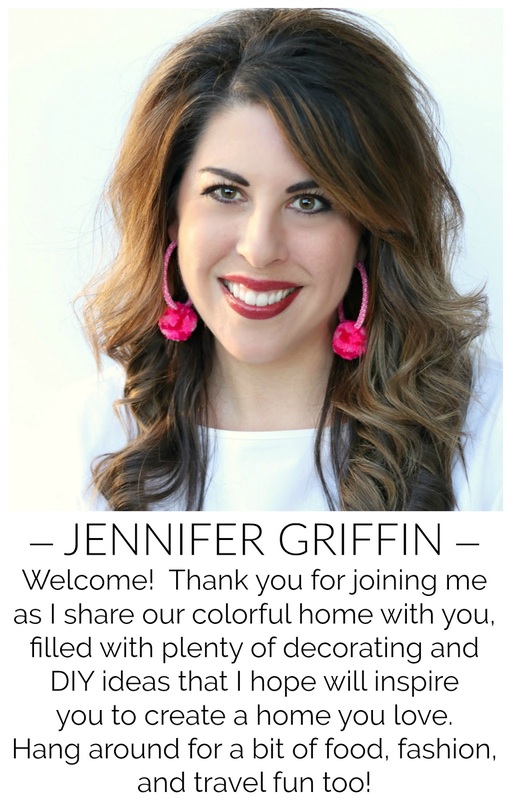 Great makeover Jennifer! I love the gold with the black. 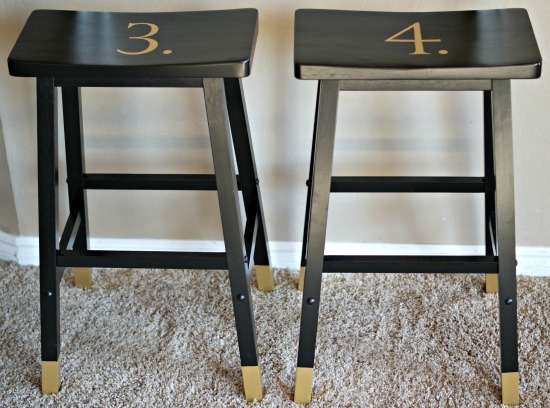 Beautiful stools! LOVE the gold dipping! Oh so fun! I want to be No. 1 at all times! I love these! I think I need something with dipped legs in my life ASAP! Oh they look so fabulous Jennifer! 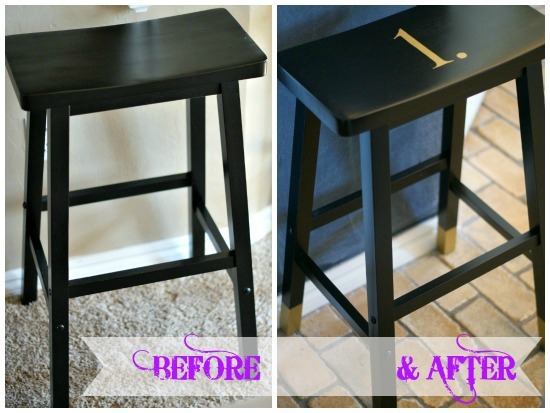 I have one stool in that style, and I'm tempted to add something fun to the top! 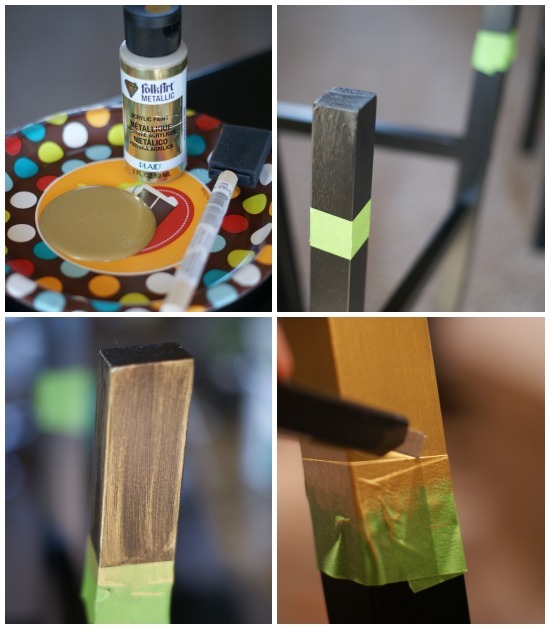 I have "dipped" the legs of a table and love the effect. Looks great on the stools. wow these look GREAT! 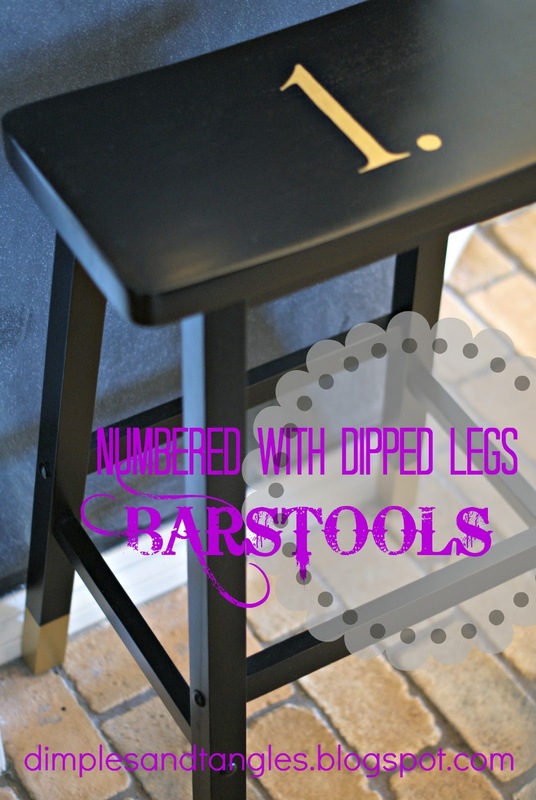 what an awesome update to the standard bar stool/island combo. Love it! Stunning! I love the font you used for the numbers. They look so pretty with your decor. 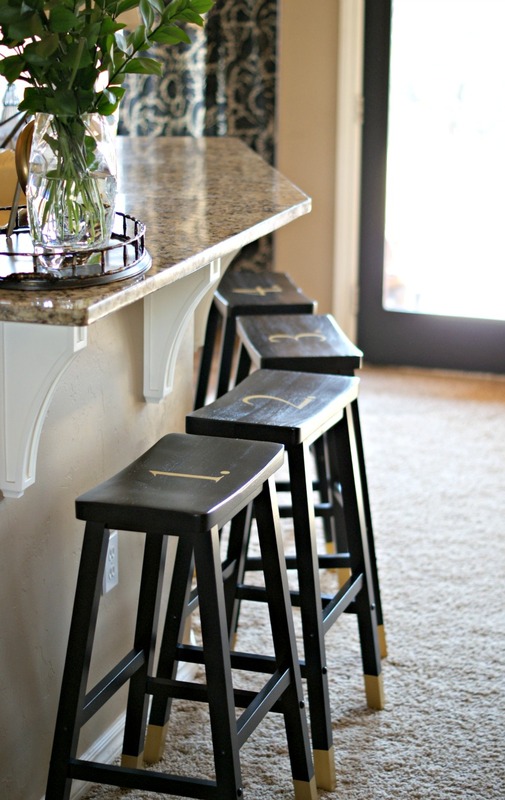 Jennifer, I LOVE these stools, they went for ordinary to so fabulous! Great job.